I love a traybake. 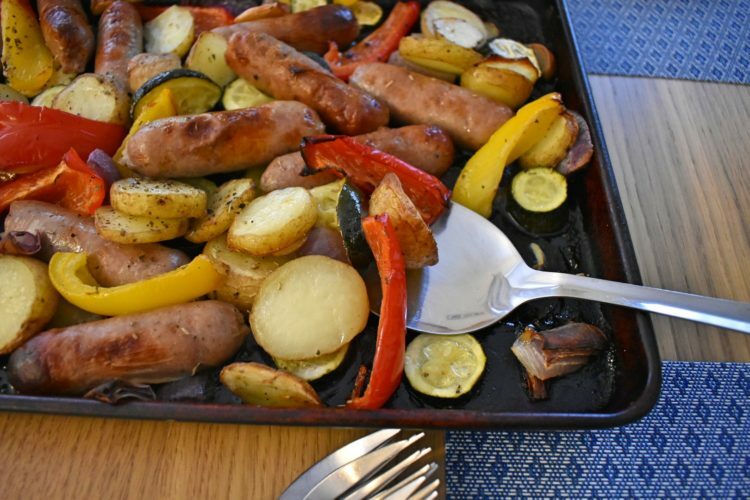 There’s nothing easier than throwing some veg, meat and oil onto a tray and letting it bake. That’s really about all it is. 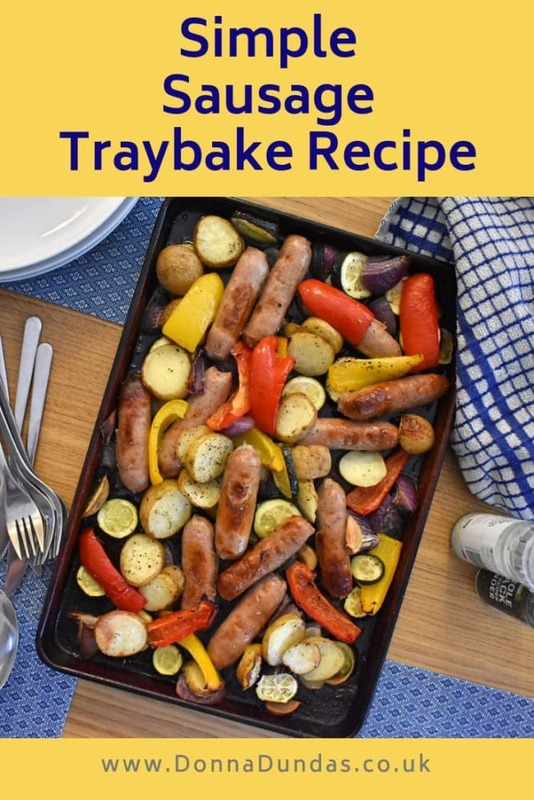 This Simple Sausage Traybake is one of my favourite easy meals. It’s up there with the Chicken Traybake, the Haloumi Traybake and indeed the Salmon traybake. All equally simple. 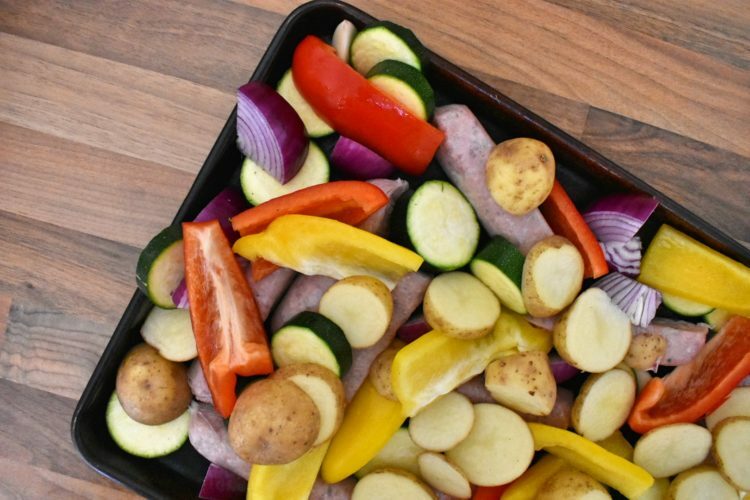 Perhaps my favourite thing about my Simple Sausage Traybake is that you’ve always got options. You can add whatever you’ve got in. I like courgettes, so always add some, but you can just stick to peppers and onions. I always add potatoes too, because it’s not a meal without them! You could even use carrots and parsnips instead of peppers and add some sliced apple to give it a pork and apple Sunday roast feeling. 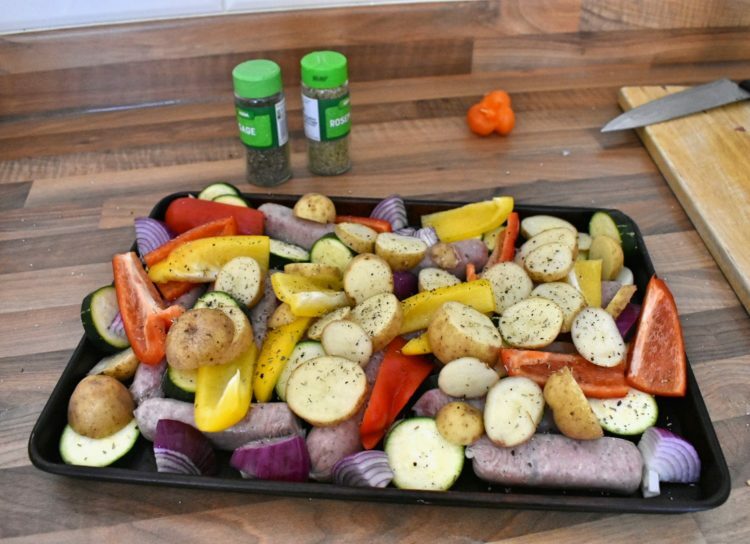 When we make a chicken traybake, we tend to add chorizo and a cajun seasoning, so it’s a little spicy. When I make a Simple Sausage Traybake, I tend to stick to some salt and pepper, a little rosemary and some sage, which go great with pork. Higher quality sausages are always better. They taste better, and there’s generally more flavour. But, if you are cooking on a budget a plain old Cumberland or even a cheap basics option will do. 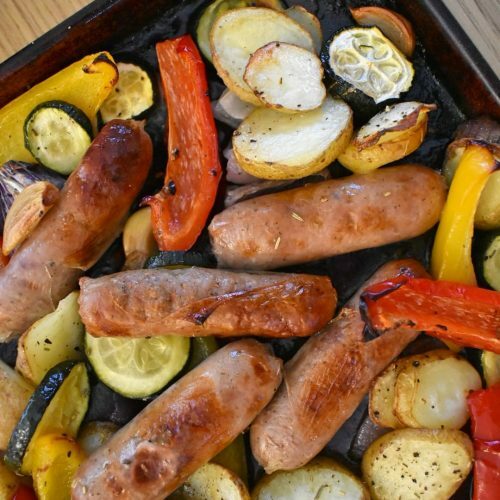 It’s a fantastic way to turn your basic sausage into a filling family meal, that’s filled with flavour and plenty of veg. It also smells fantastic when it’s baking. A fantastically simple family meal, packed with flavour and veg!